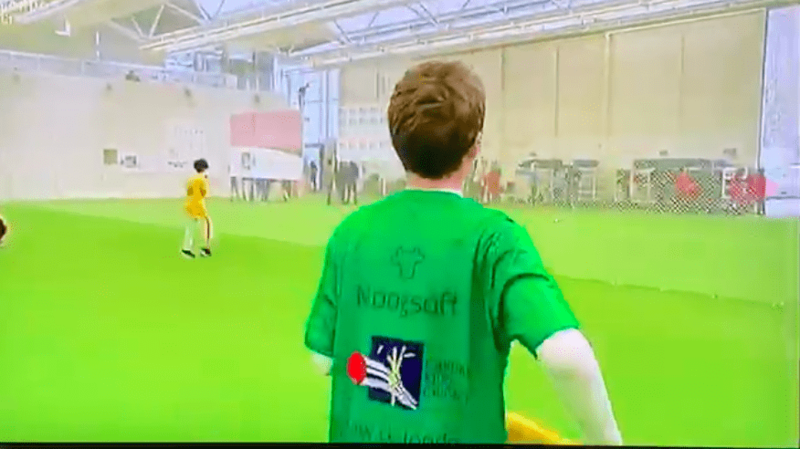 Proud to support the Capital Kids Cricket competition in London. 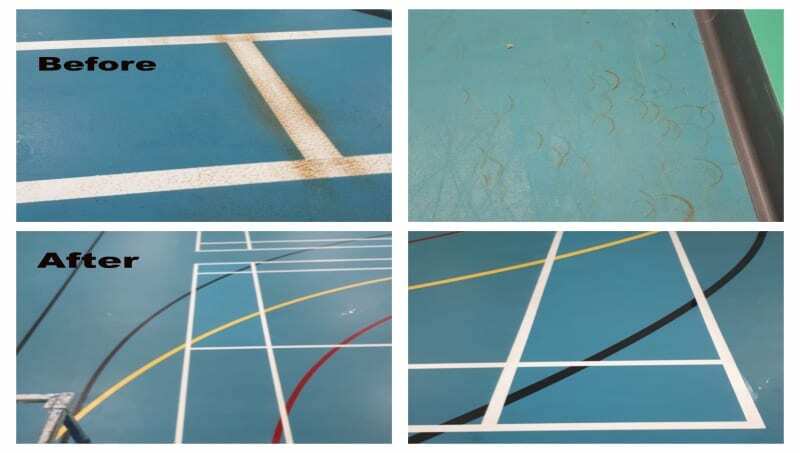 Repair and refresh – check out the difference! Accidents happen and we’re here to help repair them! 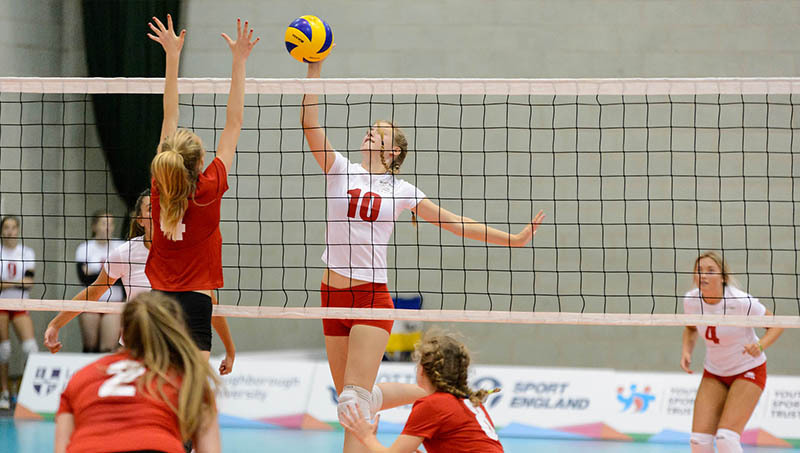 Great to be back at King Edwards Grammar School. 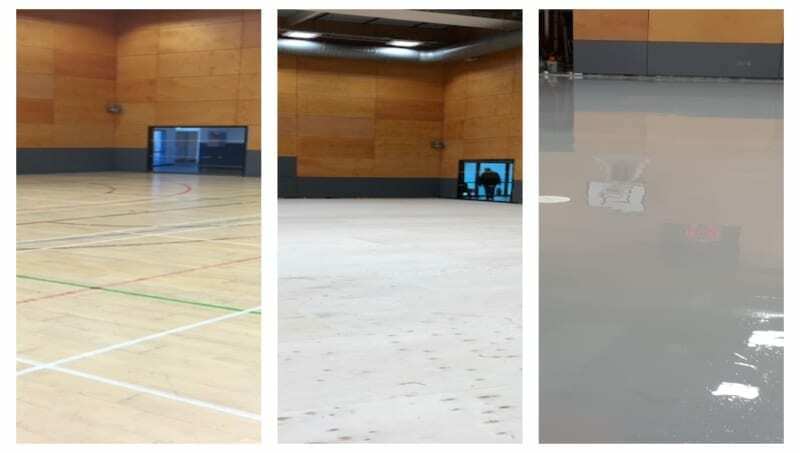 Last year we installed 700m2 of Uni-Turf, this week we’re back repairing some floor damage (caused by some recent high level work) with a new patch. Accidents happen! 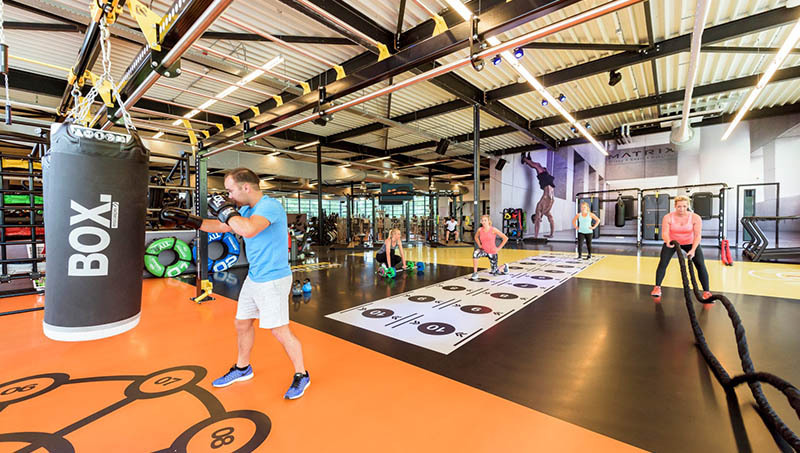 A show stopping floor at NL Leisure. 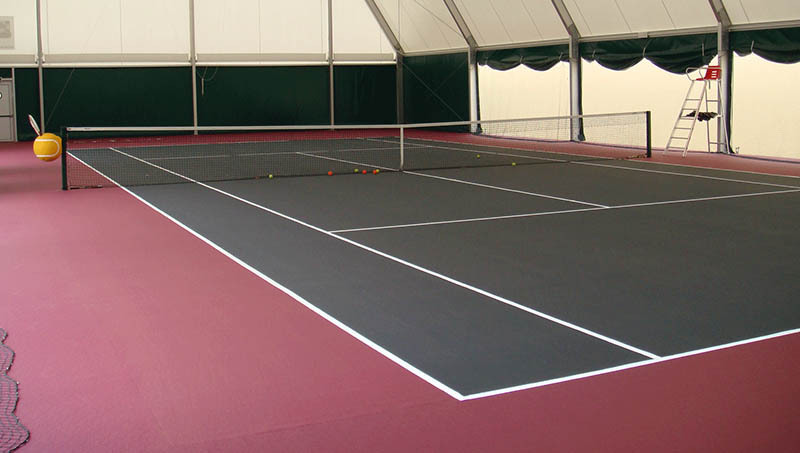 Repair, sand, add a new polyurethane layer, paint & court mark. 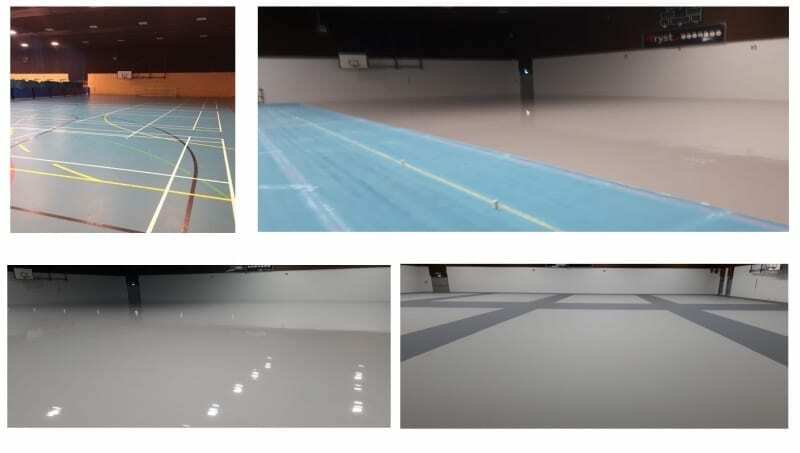 1145sqm Pulastic sports flooring face lift (over the existing floor) at Tryst Sports Centre. 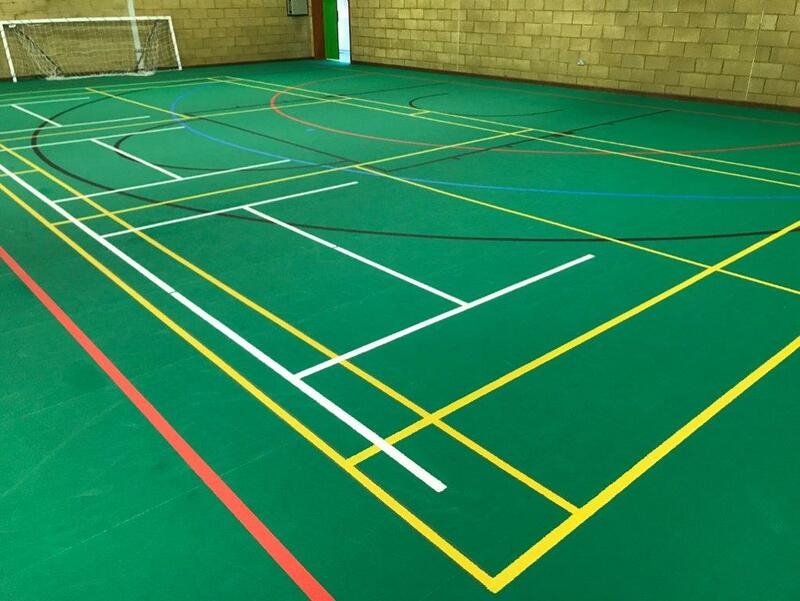 We have just completed a whopping 1145sqm Pulastic sports flooring face lift (over the existing floor) at Tryst Sports Centre. 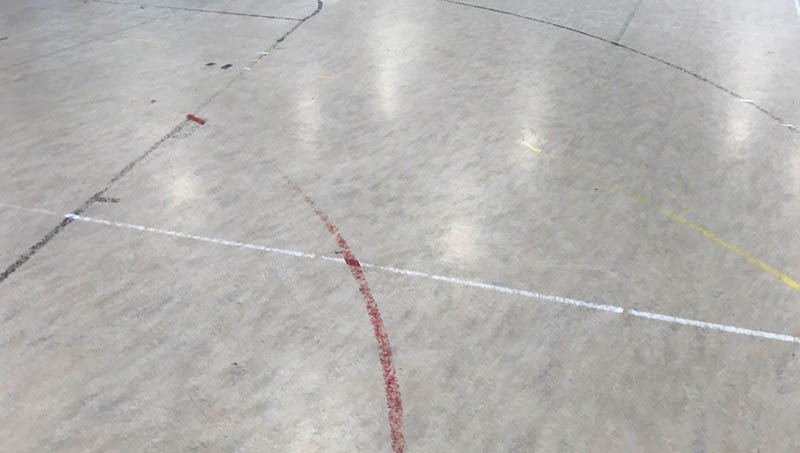 This manufacturer approved system eliminates the requirement to strip out the existing floor, reducing land fill waste and reduced down time. 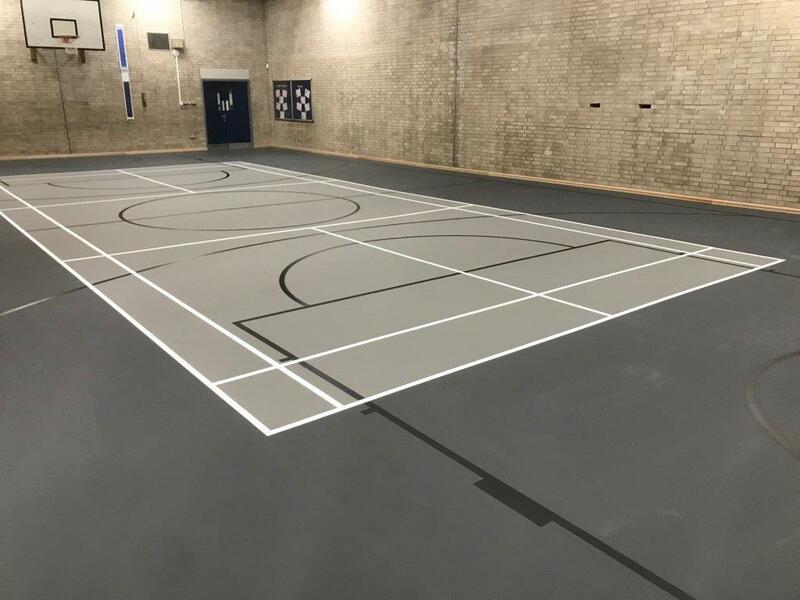 The dusty and iron grey contemporary finish gives this new floor a real WOW factor. 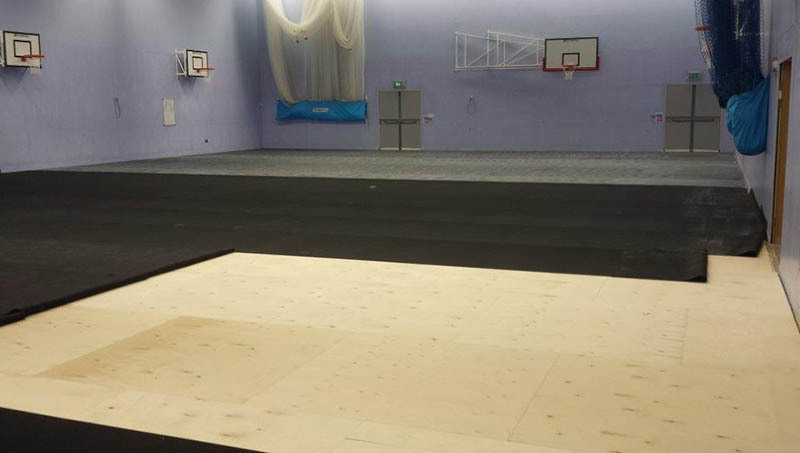 We hope the local community LOVE it too! 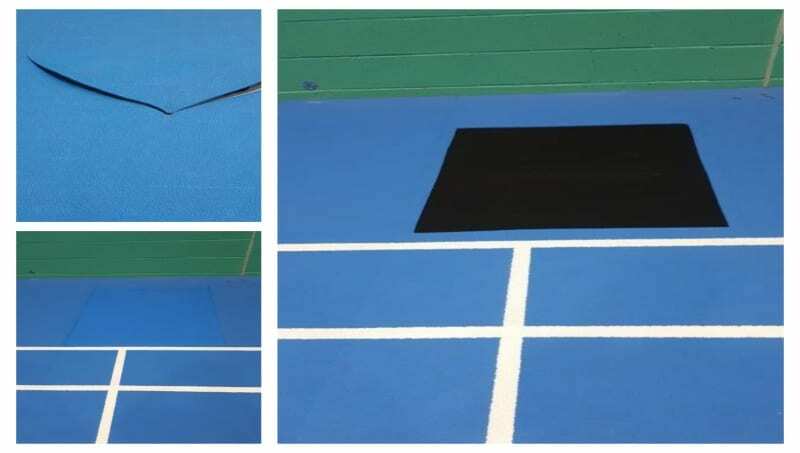 Images left to right include the original floor, sand and repair, new polyurethane layer on top and finally two tone colour floor prior to the court markings. 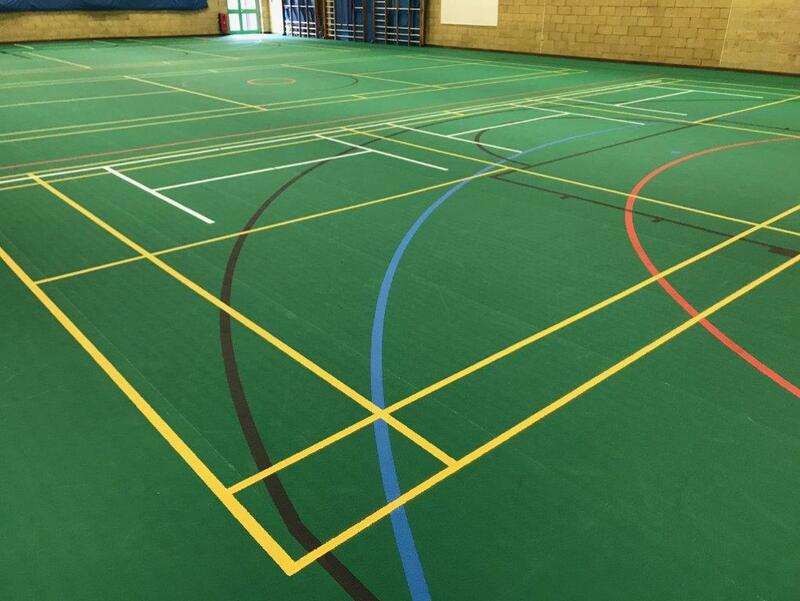 Great to be back at Monkton Combe School in Bath after 20 years! A customer for life! 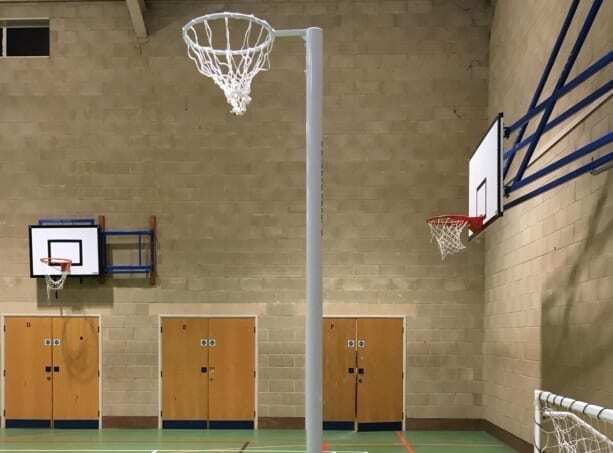 Install, refresh and repair work at Chester University. A customer for life! 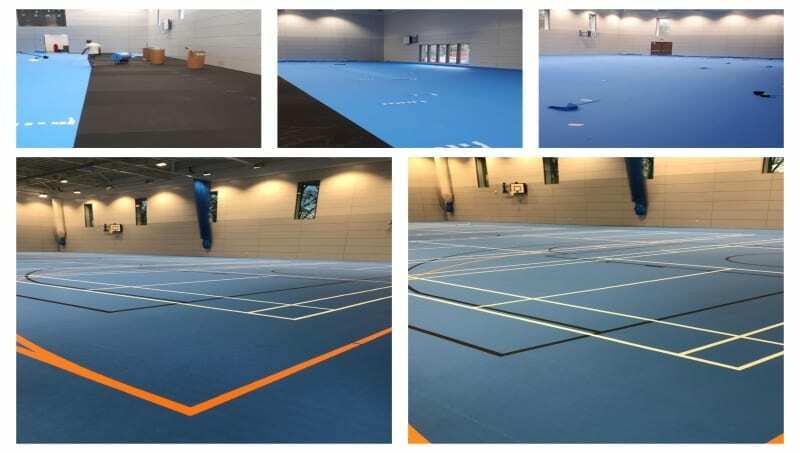 Chester University 1988 installation, 2013 facelift and 2018 refurb and deep clean. A customer for life! 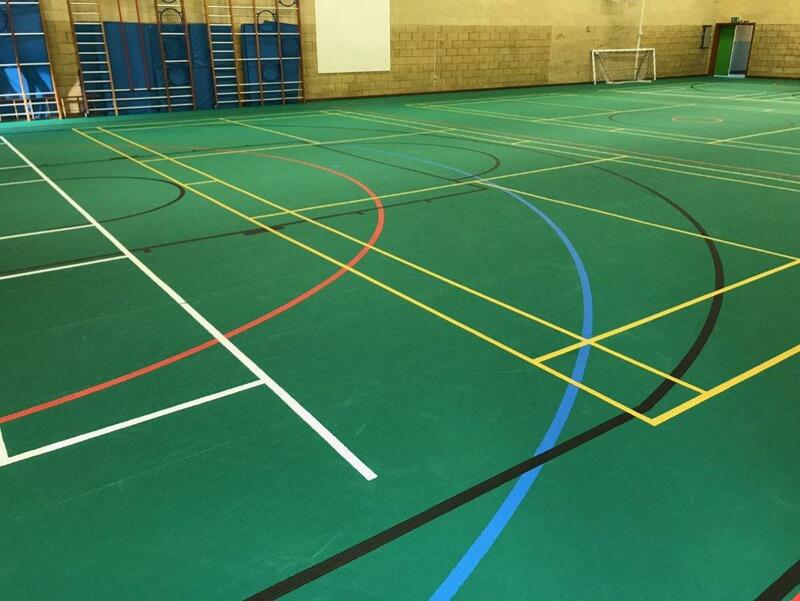 We installed this Pulastic sports floor at Chester University in 1998… 20 years ago! 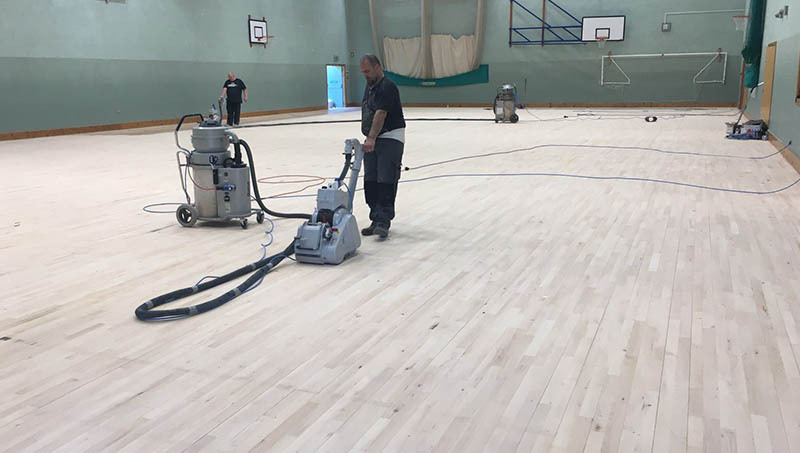 In 2013 we gave it a facelift (which involved sanding the existing floor and floating another layer of Pulastic sports floor over the top, then adding new court markings) and this week we have been invited back to give it an industrial deep clean and carry out some small repairs. 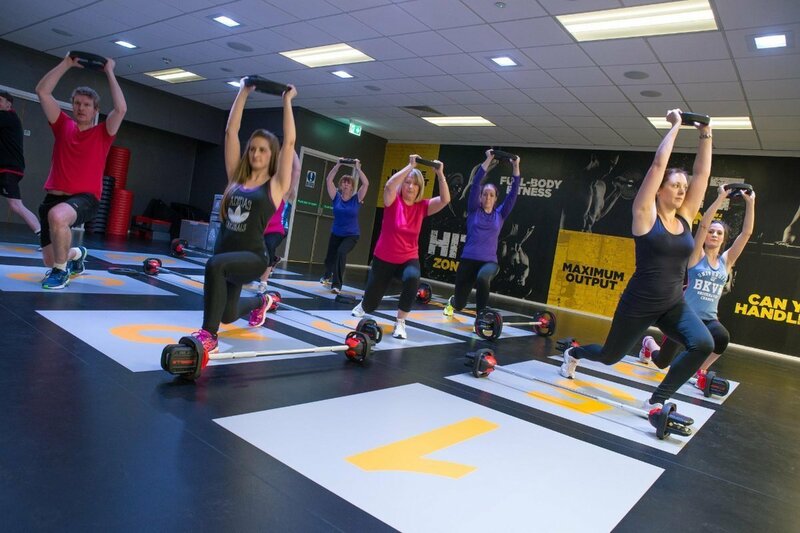 Check out the before and after images, what a massive difference! 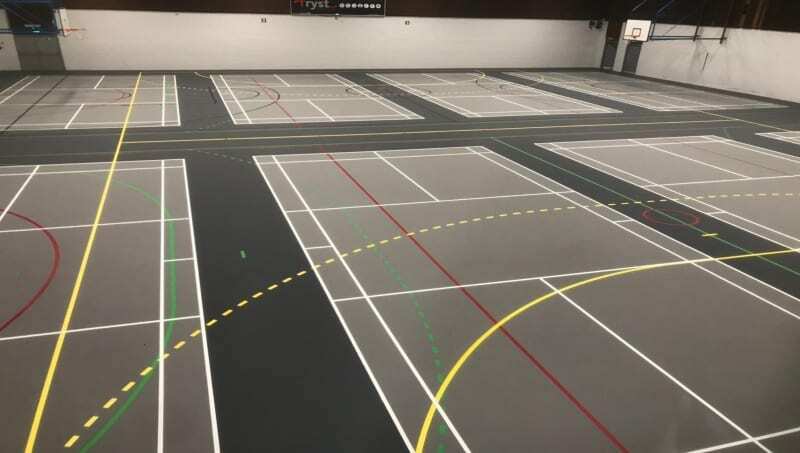 And with underfloor heating and over 15 courts, this is a truly impressive space for the students to enjoy! 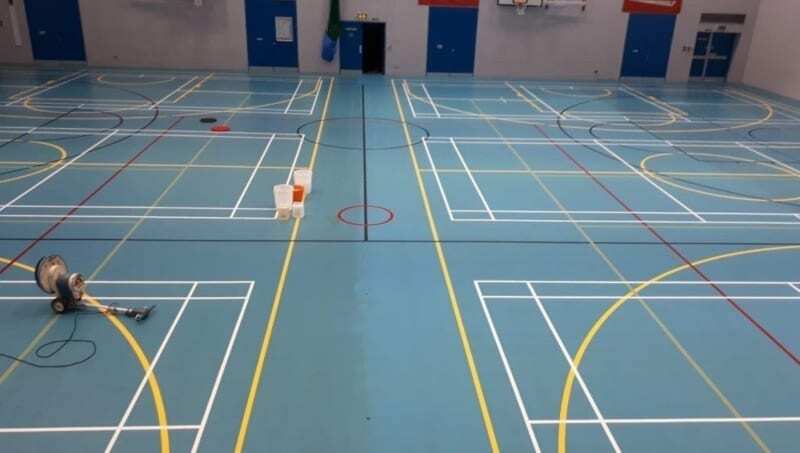 We would love to talk to you about your existing sports floor and explore options to repair, refresh and clean your floor.